There is nothing like the warmth of a wood burning stove on a cold winter’s day. So it’s no surprise that wood burners have become more popular in recent years. Wood burners are not only cheaper to run than gas or electric-powered heating systems, they are better for the environment too. But buying your stove is just the start, to get the most out of your investment, there are a few must have wood burning stove accessories that every home with a log-burner or range cooker should have. These five accessories will not only make your life easier but ensure your safety as well. 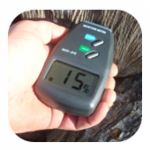 A must-have accessory for any wood burner, this handy digital moisture meter checks the moisture content of your wood. The lower the moisture content of the wood you burn, the more efficient your stove will be and the sooner your home will heat up. A stove pipe thermometer helps you judge how effectively you are burning your wood. These are great for those of you that are new to wood burning stoves and help ensure your wood burner is working efficiently. This thermometer attaches magnetically to your stove pipe, no special fitting is required, and shows you when your stove is at its most efficient operating temperature. 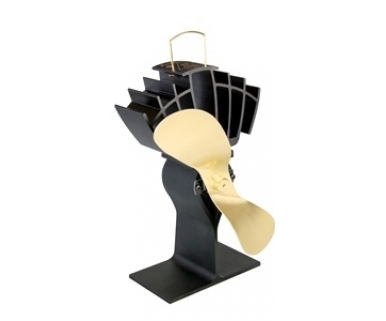 Ecofans are a great way to get even more efficiency from your wood burner. You simply place the fan in front of your stove and allow it to distribute air around your room. This whisper-quiet fan creates its own electricity, helping improve efficiency and distribute heat around the room more evenly. No wood burner should be used without a fire guard. These are especially important if you have young children or pets. Your wood burner can get incredibly hot, so make sure you keep children and pets away from the burner and hearth with a fire guard. 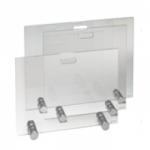 We have a range of fire guards to choose from, including traditional and contemporary designs. Last but not least, you can’t have a wood burner without a companion set. It would be like Laurel without Hardy, or Morecambe without Wise. The companion set is the ultimate wood burning stove accessory. Most companion sets consist of a brush, tongs, shovel and poker. You will need these items if you are to operate your new stove safely and efficiently, so it makes sense to keep them by the wood burner, where they are handy. We offer a full range of companion sets to suit most tastes. 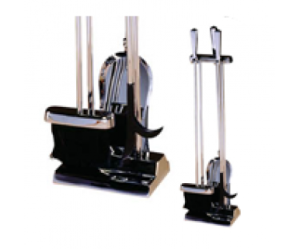 With both contemporary and traditional designs available. The wood or pellet burning stove is becoming a must-have for increasing numbers of savvy home owners. Not only are they stylish, cost-effective and energy efficient, they are fun to use too! From the child collecting kindling in the woods, to the father showing him how to light it and the family toasting marshmallows on the roaring flames, a stove really does create an unrivalled focal point in the home. Alongside this, however, comes a recognition that wood burning and pellet stoves do require care and attention in their installation and maintenance, in order to ensure that the family and home are kept safe. All wood burning stoves should be cleaned and checked before the winter months, when they will be most frequently in use. Ensure that the latch on the door of your stove opens and closes properly, check seals are intact and ensure the glass screen is free from cracks or damage. In addition, you will need to have your chimney swept at least once a year in order to keep the flues clear and to minimise the risk of a chimney fire. These measures are all well-known by every stove owner but they are not the only measures you can take to keep your family safe. It’s essential to use good quality wood, preferably with a moisture level of less than 20%. If your logs are damper than this, they will blacken the glass on your screen, spit and create a house full of smoke. 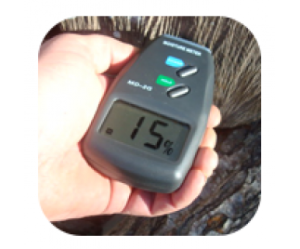 These great little gadgets, called moisture meters , are a great, easy-to-use way of telling, at a glance, how dry the wood in your log store is. A must-have for all stove owners! Where young children and pets are concerned, you can never be too careful. 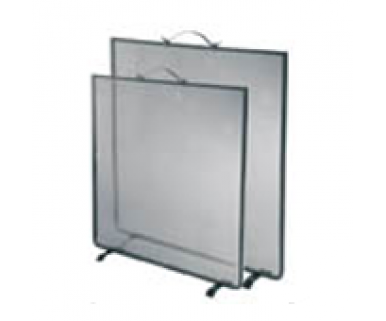 As well as protecting from sparks or small bits of wood flying out of the stove, a fire guard or screen is a physical reminder that the fire is there. We stock a huge range to suit all designs of stove and cater to all tastes and budgets. This thermometer is a useful way of identifying the temperature at which your fire is burning. Wood, multi-fuel and pellet stoves all need to operate at a safe level: if they are too hot, they risk wasting energy and over-firing and if they are too cool they will begin to form creosote on the flue, a major cause of chimney fires. A stove pipe thermometer sits on the flue pipe and is very easy to read and use.